So much yarn, so little time. 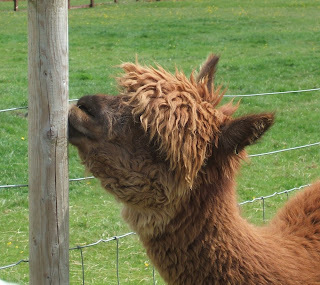 : Even Alpacas live in the UK these days! 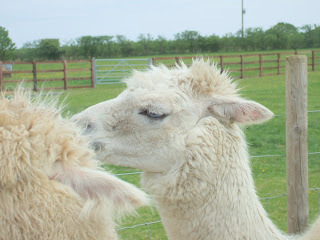 A while back we saw an advert for a local alpaca farm who were having an open day, and decided to go along. We discovered they are very curious creatures, just as interested in looking at us as we were of them! Some of them appeared to be just back from the hairdresser! I naturally decided I wanted to knit one, so I tried to capture their typical stances. When they lie down, their legs seem to disappear completely with the back legs bending "the wrong way". 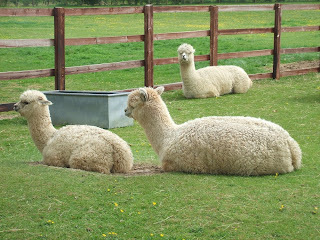 They look like cushions with necks and heads - and apparently this lying position is known as "cushing". 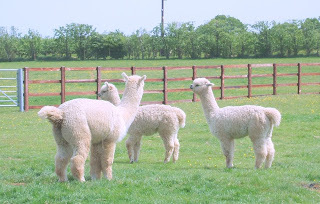 We had been expecting to see lots of babies, or "crias" as they are known - but teh expectant mums had other ideas, and were all overdue - as you can see by her tum! They are quite beautiful. 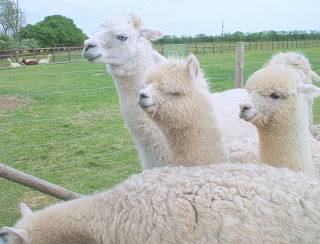 Another friend likes Alpaca fleece for needle felting and uses alpaca's as subjects too http://eyesoftime.blogspot.com/ You may enjoy her work. I shall go and have a look Jane, thank you. 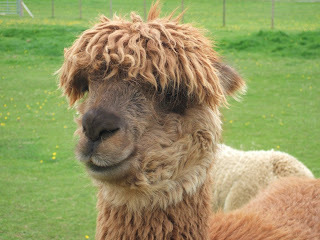 Alpacas are such adorable creatures - so much personality & such expressive eyes! Wonderful pics! 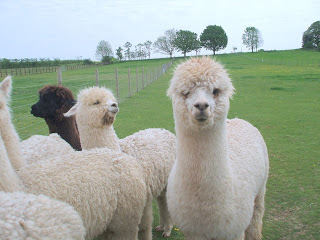 I love alpacas! 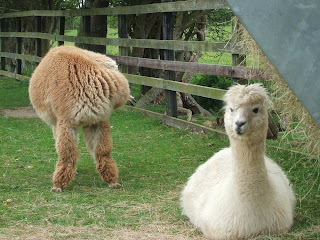 And their wool is so much softer than llama wool. I love the third pick from the top. 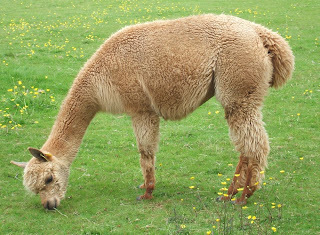 Alpacas are so cute!